A new study of trend in passenger transport in 8 industrialized countries recently published points to the possible existence of peak travel. Historically as GNP rose, so too did travel activity among the population. However, new evidence has come to light that suggests once a certain GNP level is reached, the passenger kilometers travelled per year per capita stagnates and in some instances, begins to fall. This prediction is completely at odds with government predictions which point to continuing growth in passenger travel well beyond 2030. The recent christmas travel disruption throughout the northern europe and north america has highlighted not just how mobile we are as a society today, but also the vulnerability of our mobility systems when faced with extreme weather events. Resilience is a buzzword becoming increasingly popular in the climate change circles, from grassroots activists to urban designers and now even policy makers are realizing that dealing with more frequent extreme climate events will require stronger and more flexible structures. So, is a more resilient society, one which travels less? 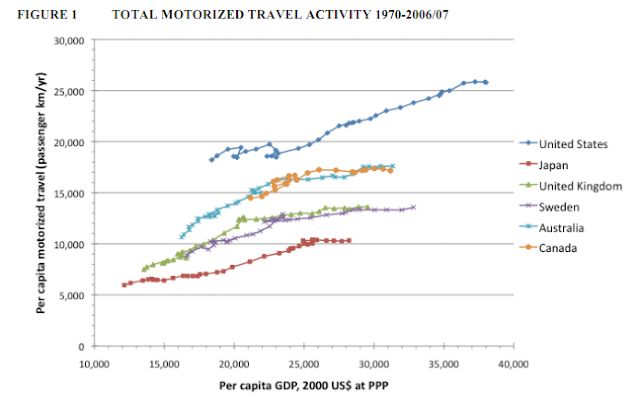 Beginning in 1970, they found, motorized passenger travel grew rapidly in all eight countries as greater prosperity led to rising car ownership and domestic air travel. 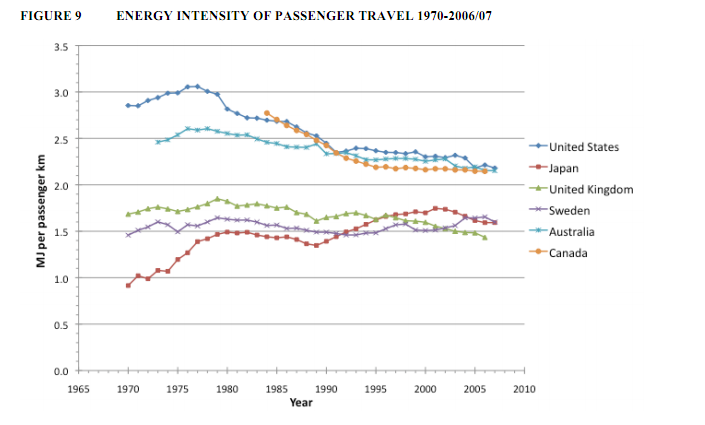 But after 2000, when per capita GDP in the U.S. hit $37,000, passenger travel stopped growing. In the other countries, passenger travel leveled out at a GDP of $25,000 to $30,000 per capita. Most of the eight countries in the study have experienced declines in miles traveled by car per capita in recent years. The U.S. appears to have peaked at an annual 8,100 miles by car per capita, and Japan is holding steady at 2,500 miles. Worryingly, vehicle occupancy also declined, as more and more people drove alone. 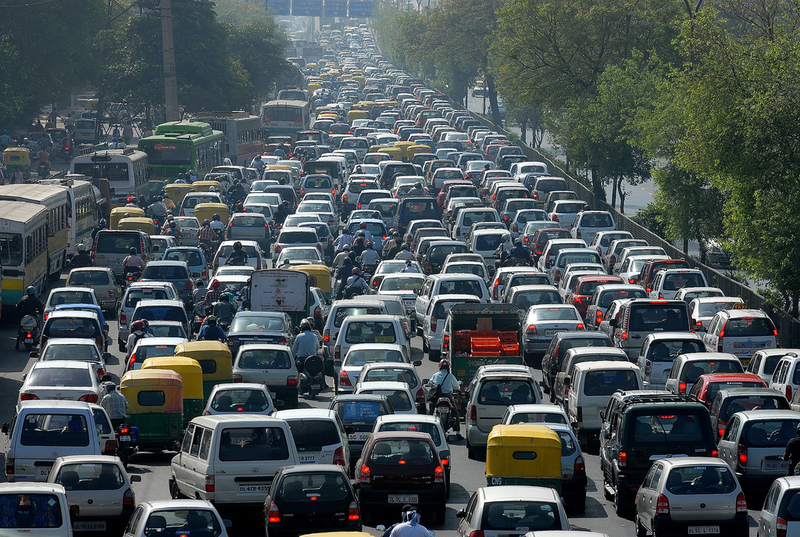 In the U.S, the average vehicle occupancy is 1.7 people per car, down from 2.2 in 1970, reflecting a likely shift away from carpooling. Peak travel holds a glimmer of collateral benefits for the industrialized world. Higher prices at the pump, including higher fuel taxes, could help stimulate the manufacture of smaller, less powerful cars, change people’s driving habits and foment a renaissance in walking and bicycling, reducing carbon dioxide emissions below their present levels, Schipper said. The growth of motorized travel in China, India and Brazil will reduce the overall impact of gains in the industrialized world, but they are still gains, he said. The average American car on the road today uses a third less fuel per mile than in 1973, and 20 percent less than in 1981, he said. For European cars, the savings is between 20 percent and 25 percent.